Network Distributing Ltd Film TV Home Entertainment / It’s that Hare again! Hartley Hare isn’t surprised that Network is releasing Pipkins The Collection with all of his greatest hits. He would have only asked why did it take so long? Yes Hartley Hare was made from an old cardigan so I guess you could say he was into recycling before anyone else. Hartley and Pipkins were trailblazers in other ways as well. Unlike other pre-school shows at the time, Pipkins was a mini comedy-drama about a family, albeit one made out of foam and jumpers. But what really turned Hartley from an old jumper into the star we remember and love today is Nigel Plaskitt. Nigel was fresh out of drama college when he was asked to perform in Pipkins. Not only was he the puppeteer operating Hartley (and Tortoise and Mooney the badger too) but he was also their voices, hearts and souls. Nigel made Hartley into a sensitive, lovable, melodramatic diva with the comedy timing of John Cleese. 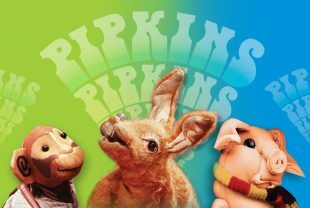 Pipkins was created by producer Michael Jeans and writer Susan Pleat. I came onboard as one of the main writers with Susan shortly after, as did Billy Hamon and Denis Bond. We did our best to entertain both children and their parents. And believe it or not, we were educational too. We were more than helped by our splendid human presenters who included Wayne Laryea, Jonathan Kydd and Paddy O’Hagan. Johnny, Tom and Peter might have thought they were in charge of Hartley and friends but it was really the other way around. To add to the joy Pipkins had the greatest next door neighbour, Mrs Muddle, played by Sue Nicholls; also known as Audrey Roberts in Coronation Street. We punched well above our weight. As Nigel says we’ve all remained friends to this day. So much so that Susan, Nigel and I (along with top puppet creator Paul Jomain and ChuckleVision writer Robert Taylor) have created a brand new children’s puppet series for a new generation: Monty & Co. We’re hoping it’ll be loved for as long as Pipkins has been.  I couldn’t finish without saying a special thank you to Hartley Hare (it’s in his contract) and also to his friends Pig, Topov, Tortoise, Octavia and Mooney. We hope enjoy Pipkins. We certainly did. Pipkins Volume 5 and Pipkins The Collection are out now DVD. I’ll always love Pipkins, the DVDs have allowed me to go back to my childhood however I discovered not too long ago that the archive is far from complete and it’s only thanks to Nigel and Jonathan recording these on their VCRs that a lot of episodes still exist. Shame on ATV but it was the same across a lot of the networks and the BBC too. I am also a Doctor Who fan and so want to see all the Hartnell and Troughton stories that are missing.